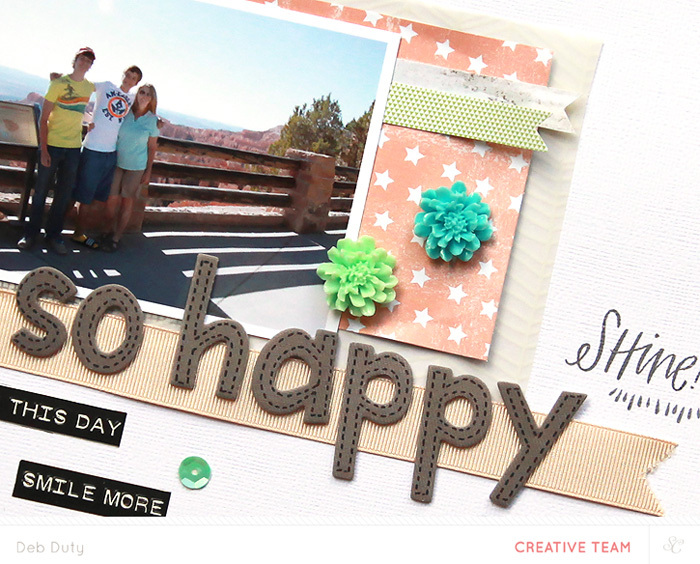 Today I'm sharing a layout I made for the Studio Calico blog. My assignment was to make something inspired by pinterest. 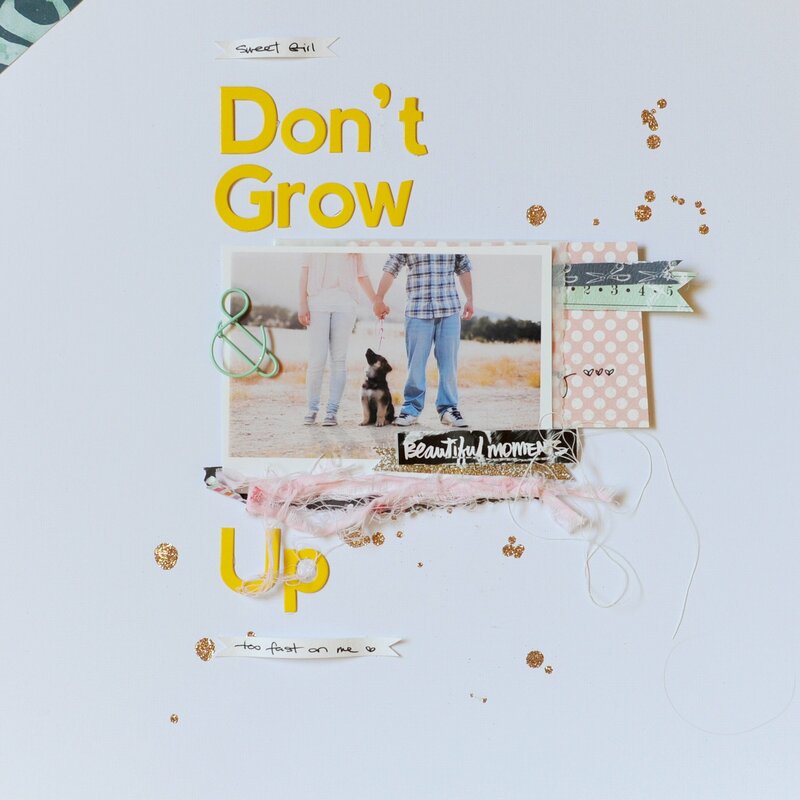 I found this lovely layout on Studio Calico's pinterest boards by the June guest designer, Rahel Menig (see her blog and beautiful photography here). I loved the simplicity and some of the unique elements like hand-written details on little hand-cut banners, and the splattering of dots of glitter (I used sequins instead). I used mostly my Camelot scrapbook kit on my version of her layout, except for the alphas which I've had a few years, and the word strip stickers which were from the Project Life Lancelot add on. I really should scraplift more often. 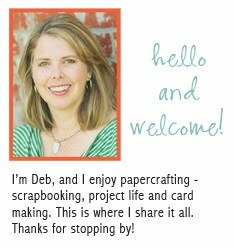 It gives me a head start, and makes the whole process a lot of fun! 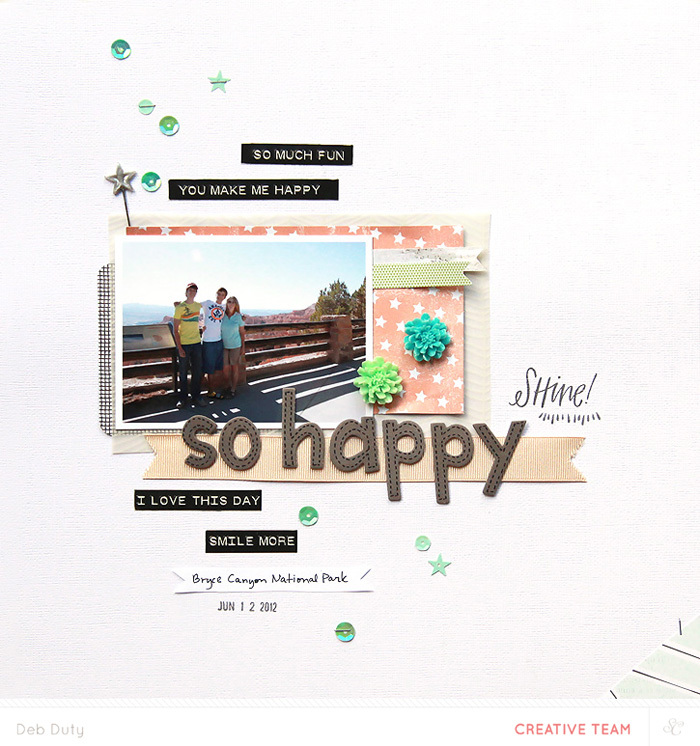 Such a sweet layout, you've given me some great ideas!